Beautiful mobile commenting, on the web, iOS, and Windows. Rich-media-supported comments let readers add images and video to keep discussions lively. Instant activity notifications, email notifications, and email digests pull readers back in. Disqus mobile apps keep your audience engaged on-the-go. Available for both iOS and Windows. Readers only need one Disqus profile for all publishers. Discover other top discussions through publisher profiles and organic discovery modules next to comments. Readers can follow interesting commenters to find even more communities to participate in. 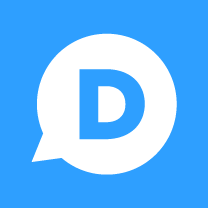 With Disqus Home, publishers get a built-in network of the Internet&apos;s most active commenters.